Cross-border e-commerce is going to become the next growth driver for the e-commerce industry. While the market is more than a trillion dollars in size, it comes with its own set of challenges. Online fraud, non-payment, language barriers, multi-currency, international shipping overheads are just to name a few. However, despite these challenges, the ever increasing volume of international b2c shipments is promising. As we speak, leading marketplaces such as Amazon, are already on it to facilitate international selling within existing markets and expanding into newer markets such as China. This is why it becomes important for sellers to contemplate cross-border e-commerce selling, as this is one area where e-commerce is likely to grow. In this post, we will try to look into the prerequisites, compliances, and tax structures in order to conduct cross-border e-commerce selling primarily in USA and Canada. If you are an online seller based in the USA and selling to Canada or Vice Versa, this post is likely to be useful for you. Trade between Canada and USA goes long back in the history but in the recent past, NAFTA has primarily shaped it. 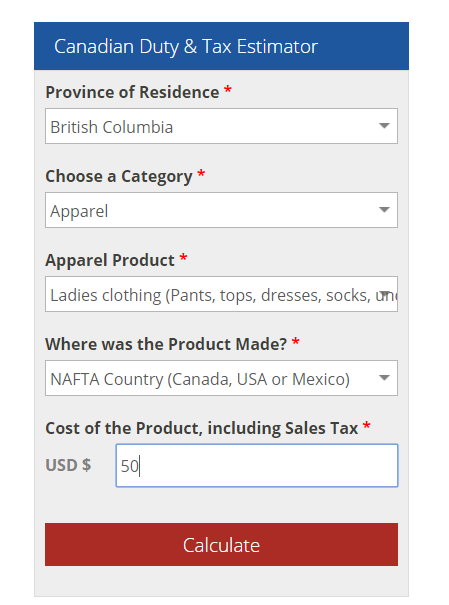 Online sellers need to know the basics of NAFTA before they begin selling online. Let’s begin with the product portfolio. American Sellers are particularly interested selling in Canada and Mexico. Being NAFTA countries, trade barriers and duties are fewer. NAFTA trade volume goes beyond 20 trillions. The US contributes 18 trillion into that alone. Canada is a giant consumer of small items, produced in the US. 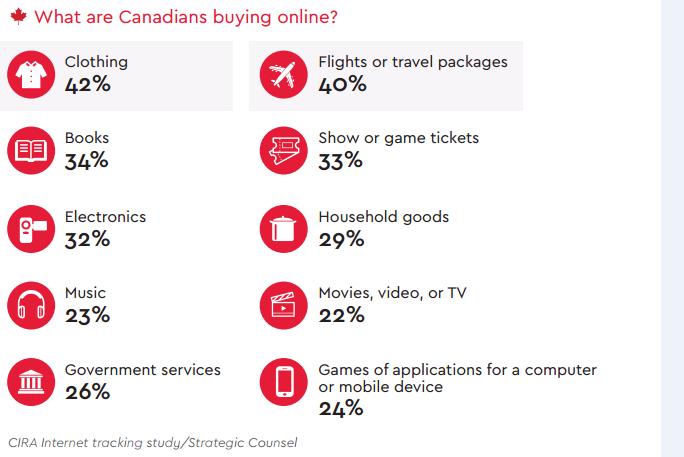 Canadians mostly search for apparels, electronics, and books online. The apparel market can be further segmented into various categories. Electronic products in Canada are significantly expensive than the US and importing it from a direct seller from the US is cost-effective for Canadians. You can list the product on your own e-commerce website or chose a leading e-commerce marketplace in Canada. Only goods produced in NAFTA countries are free of duties. NAFTA felicitates trade between USA, Canada, and Mexico. 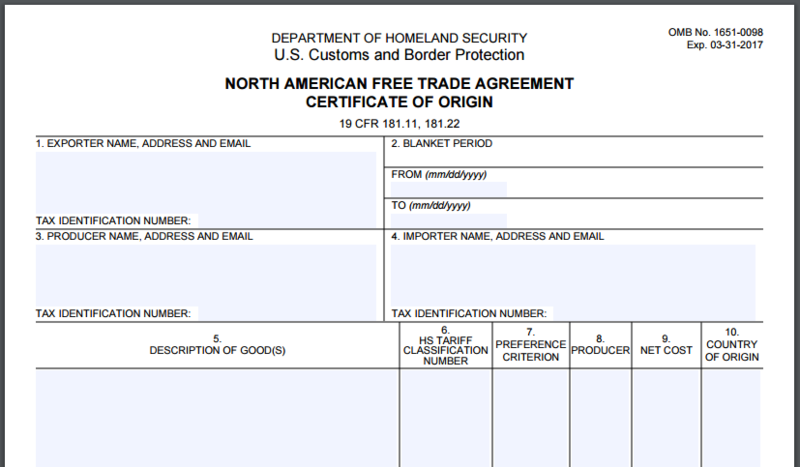 Certificate of Origin. If you are fulfilling the order yourself you can download and fill the form yourself or seek help from your shipping company. 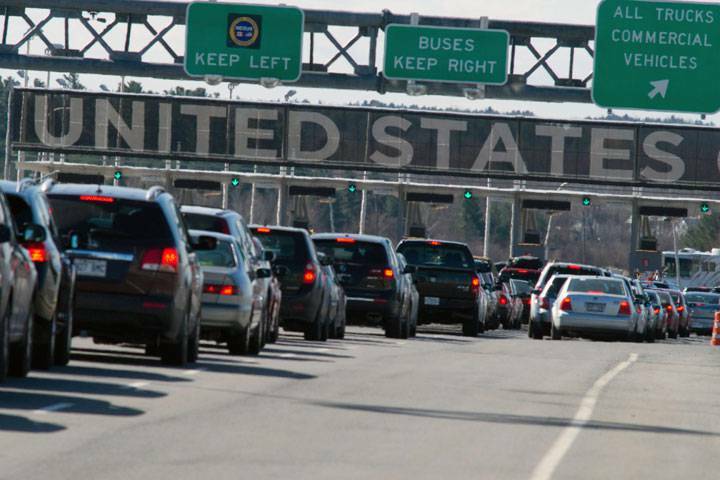 Hence, if you are selling cross border to Canada, you are most likely to sell something that is ‘Made in USA’. Products produced outside NAFTA countries have to pay duties, making them more expensive as they arrive at the destination. As stated in the NAFTA, the seller is supposed to provide a certificate of origin to the importer, which, in this case–is going to be the buyer sitting in Canada. Therefore, your customer is supposed to have the certificate of origin in their hands before the product is shipped. This is necessary because a Harmonized Tax is often collected from the buyer as the goods arrive at their doorsteps in Canada. There are three types of taxes in Canada. The primary being the GST (Goods and Services Tax) and the PST (Provincial Sales Tax). 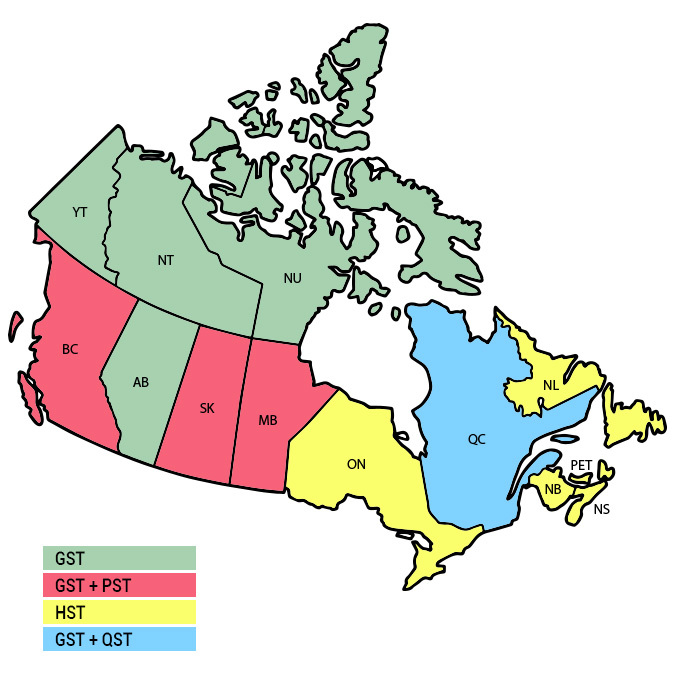 A number of provinces in Canada collect Harmonized Tax instead of the GST. The provinces of Nova Scotia, New Brunswick, Prince Edward Island, New foundland and Labrador, and Ontario have opted to “harmonize” their provincial sales tax with the general sales tax. This combined rate is called the “harmonized tax,” and represents the sum of the 5 percent federal GST plus the appropriate provincial tax. A number of Provinces that do not collect the harmonized Tax, instead go for the Provincial sales Tax or the PST. 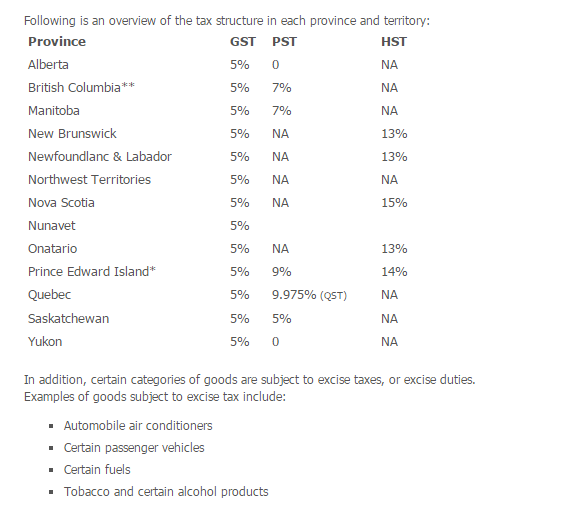 Here is the complete list of GST, HST, and PST levied by Canadian Provinces. Here is a Canadian Duty Calculator for you to arrive at an approximate price for your shipment. Note that these prices are excluded of the shipping charges that you would pay to the shipping company. The charges levied by the shipping company may also include charges for the paperwork with the border authorities. Amazon has partnered with UPS to deliver international packages to Canada. If you are doing the fulfillment by your own, you can choose a cheaper shipping company of your choice. By far, USPS provides the cheapest shipping rates. 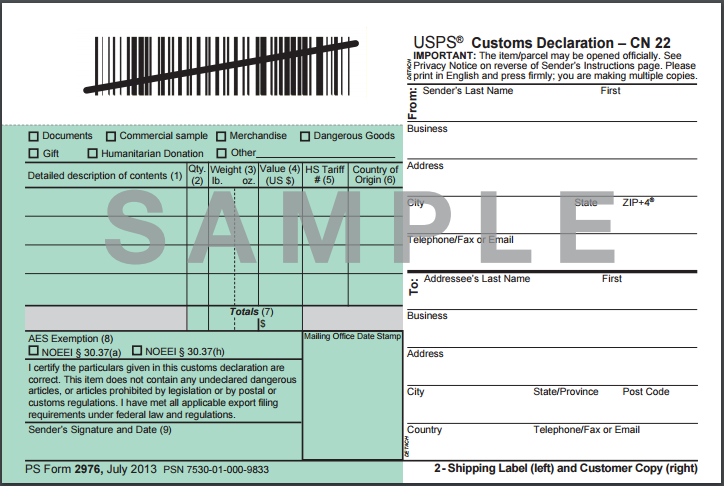 However, you need a Customs Declaration form, CN22 before you ship the package. The CN22 seeks your approval on the nature of the good(s) being shipped. It also asks for the HS Tariff, the value of the goods being shipped, and weight of the good. Details of sender and receivers are also mandatory. USPS rates are the cheapest and very affordable. And in addition to that, you can definitely look into some hacks & tricks to squeeze the maximum out for your bucks. A single back-end to monitor and manage all details related to international shipping. Al these can be managed by an efficient multi-channel order and shipping management software such as Orderhive. Orderhive’s features for international shipping management are essential for every seller, selling international. 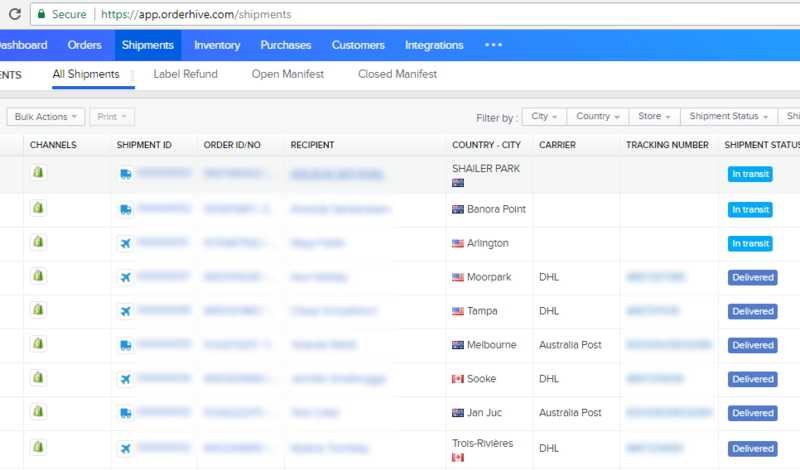 A screenshot of shipped orders from one of our users selling international. Users get to choose between a number of carriers that offers the best price w.r.t the shipping destination. 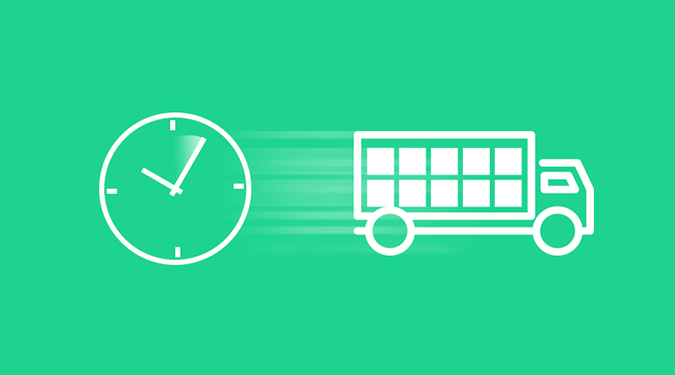 Check out Orderhive’s shipping management module for free. The US is one of the largest e-commerce retail destination in the world making it an obvious market for Canadian sellers to make quick profits. A significant number of Canadian Sellers are already selling on Amazon.com and making substantial profits. However, before you start selling in the US a number of details are required from a non-US citizen. A credit card that can be charged internationally, i.e, a Mastercard or Visa. Your country uses currency supported by Amazon. This is not an issue for most English speaking countries or non-English speaking European countries. Most of the times, Canadian Sellers sell in collaboration with a local vendor based in the US with citizenship. This also applies to selling through Amazon.com and using one of their warehouses to stock products (Using FBA). Apart from Amazon, you can list on other marketplaces such as Newegg, Sears, Etsy and a number of other stores. 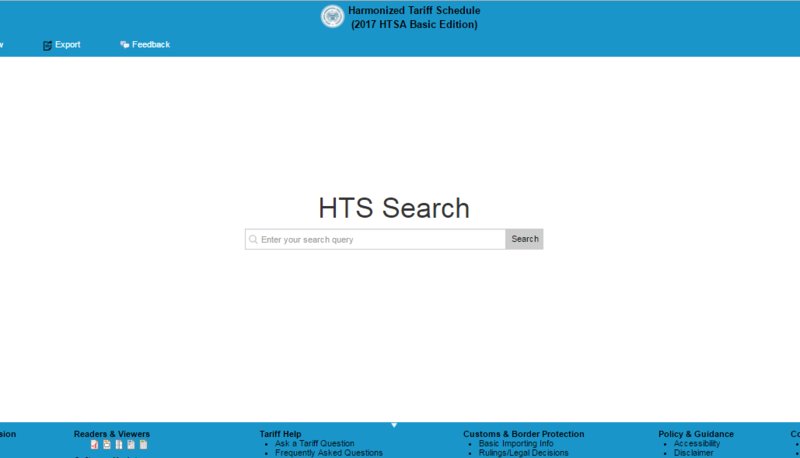 Before you think of picking an item to sell in the United States, you must go through the Harmonized Tariff Schedule. The HTS gives a clear account of import duties levied on products entering the US. Against every product falling into a category, you can find three tiers of duties listed for the HTS. Column1/General: The typical rate of duty from the majority of the world’s countries. Special: Special duty rates assigned to specific countries or import scenarios. Column 2: The special rate of duty assigned to trade restricted countries. Cuba, North Korea, etc. Apart from this, your shipping partner would charge some commission to get the paperwork done. A significant number of Canadian Sellers sell in collaboration with a local agent in the US or go for a US-based marketplace. In such cases, local tax rates are levied on each sale with respect to the state in which the goods have been sold. As usual, if your product is made within any of the NAFTA countries, you will not incur import duties at the border for the product. If your product is manufactured within NAFTA countries, a NAFTA certificate of origin is required for every product shipped into the US. As far as cheapest shipping rates are concerned, USPS leads all the way in Canada as well. 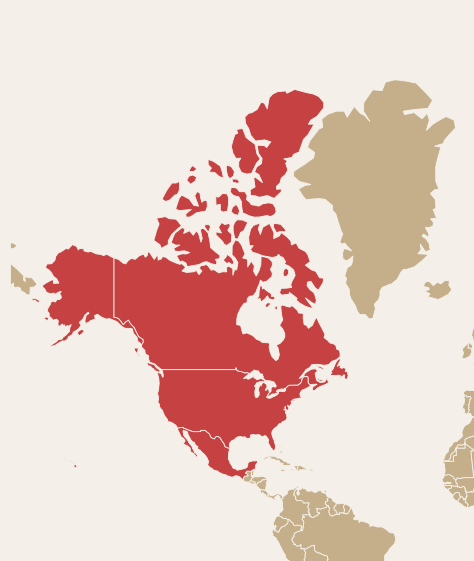 USPS would source the shipments from Canada post and gets them delivered in the US. When it comes to international shipping within an Omnichannel selling model, things can get extremely complicated. Shipped packages often spend a substantial amount of time with the customs. This long wait can be frustrating for both customers and sellers. In addition to that, recurring sales in Cross-border e-commerce can only be driven by trust. This is why customer experience with checkout and shipping must be flawless. You can provide a satisfactory experience once you have the ability to track the movement of all the shipments and keep updated on the inventory part. An effective inventory and shipping management software such as Orderhive can efficiently get it done for you. 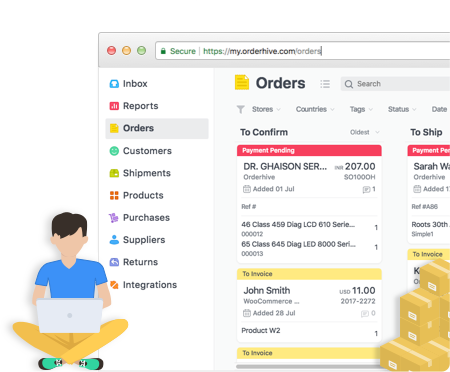 Orderhive integrates with leading marketplaces and shippers to keep you updated on your inventory, purchase, delivery, drop shipping and various other needs. 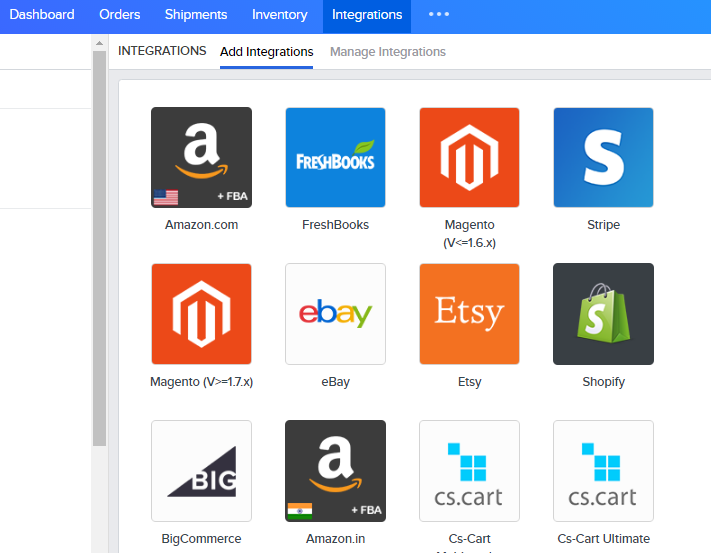 Check out integrations provided by Orderhive – https://www.orderhive.com/ecommerce-integration.html . 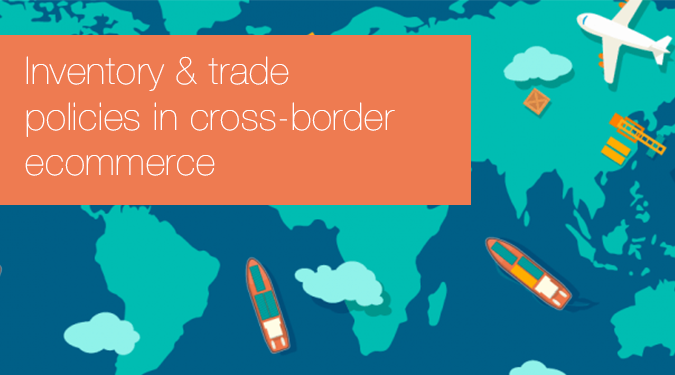 Cross-Border e-commerce is growing fast and Sellers across the world over are diving in. Amazon and other leading marketplaces are also gearing up to ease the selling process. And they are doing it by managing the gamut of paperwork, leveraging on customer success and various other processes that currently act as barriers. You may soon expect international e-commerce to become as easy and hassle-freee as the domestic one. However, when that happens, sellers with automated inventory and shipping management would have the edge and advantage. 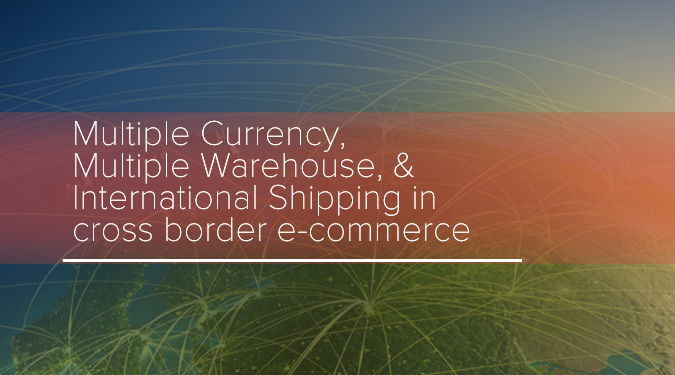 We have covered international e-commerce between NAFTA countries in this post. In my next post, I will take up cross-border e-commerce between US and China. How to understand trading policies and overcome inventory related challenges in cross-border e-commerce? Hello, my name is Lily. I have a couple questions if you permit. 1) According to HTS, if I cannot find the good we are willing to sell online to Canadian domestic market, what does it mean? We would sell car deadener produced in the US. 2) It is unclear, if we, as non-residents, register LP in Ontario, but sell online and by mail, do we actually have to register our business in every single province? Or is this waived due to online subject? Hi Lily! Thanks for stopping by. I will try to answer the second one first. If you want to register being a non-resident, most probably you would have to go for a partnership model. In that case, your existing Canadian partner can help you out with things. If you register your business under your own name in Canada, you can go for a sole proprietorship licence. Canadian Provinces have something called extra provincial registration. For example, BC, Alberta, and Saskatchewan have an extra provincial agreement called NWPTA– according to which you can start selling in any one of these and then expand to the next two without much hassle. As far as Ontario is concerned, it has a special agreement with Qubec similar to the NWPTA. That means you can incorporate in ON and sell in QC without any extra provincial certificate for QC. So, the idea is to focus on these Province clusters and then incorporate for maximum outreach. About the HTS code, i am assuming that your deadeners are sheets and not spray paint deadeners. In that case, i am not sure but it should come under 9902.25.54 (Floor coverings and mats of vulcanized rubber ). Thank you for the article great information. You mention Best Products you can sell online to Canada however what are the best products to see from Canada online to USA. We are a US based company with a SAAS (Software as a Service) model. We create a web site for our clients and they pay us monthly for that customized web site. If we service international clients, and they pay via PayPal, do you know if there are any additional international tax concerns that we need to deal with? We already pay standard US small business taxes. Thank you. Taxation on SaaS varies according to the State you live in. I do not know the exact taxation figures but let me just list out the states that charge and do not charge sales tax on SaaS. 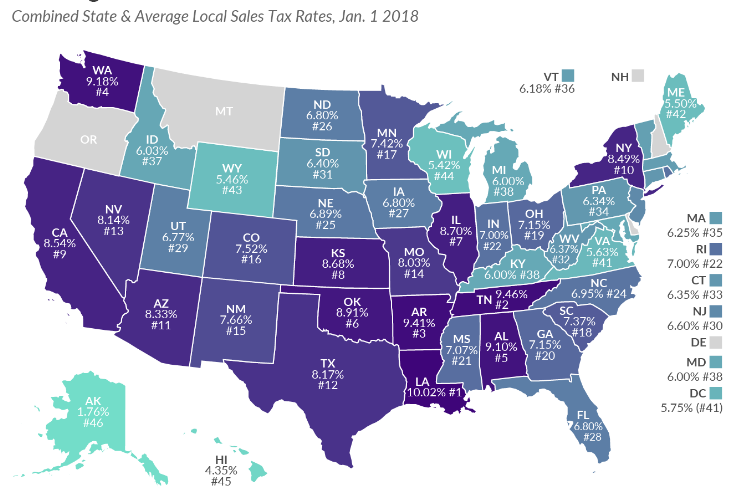 Also note that Alaska, Delaware, Montana, New Hampshire, and Oregon have no sales tax at all. Nice answer back in return of this matter with firm arguments and telling all regarding that. Noted. We will include these details in this post itself or write a new post altogether very soon. Hi , if I’m selling from Usa , California branded clothing from our us stores to Canada websites,( but the branded clothing are made in China most of them) what I need to declare ? I’ll pay duties taxes depends of how much those products cost providing the receipt or how it works? The amount of tax will depend on the amount listed on the invoice that you give to the customer. The rate of tax will depend on the state you are selling in. As far as duties are concerned, a lot of the items are duty-free. Make sure to check the harmonization code though. Hi Arup great article. While sale of goods is discussed here, do the same rules apply to sale of services from Canada to the US (so no tangible good is sold)? In the age of the internet I can offer professional consulting services from Canada to US clients. How are services treated in terms of trade/tax requirements? Do you have any resources you can recommend where I can learn more about this?Thanks! Intangible services are not taxed. However, if you have a permanent establishment in the US, you are liable to pay the taxes according to the state you operate. Permanent establishment means an office, a satellite branch of your business, or a warehouse or anything tangible. The taxation for intangible services over the internet is a hot topic among politicians. Expect new rules and taxes soon.